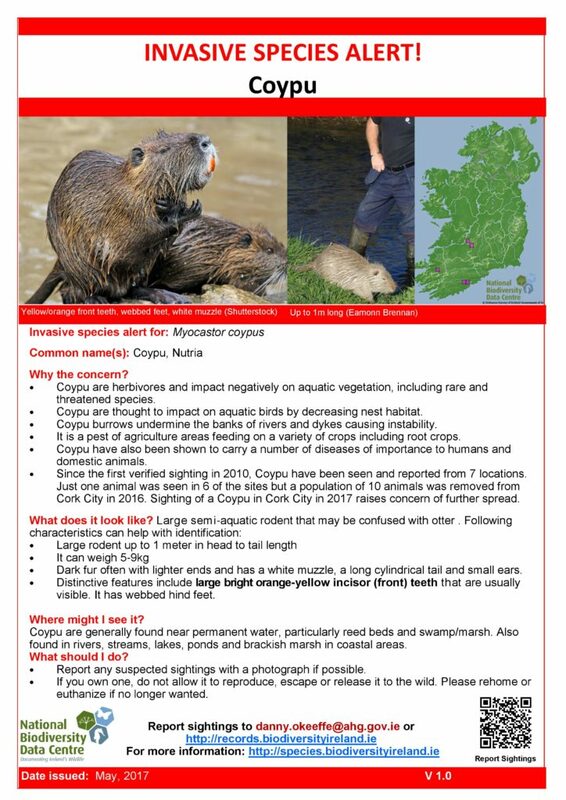 Waterways Ireland has issued an invasive species alert for the Coypu, a large rodent species which may have been spotted on Royal Canal near Ashtown, Dublin. Their advice if you spot one is clear; don’t try to approach and get in touch with Waterways Ireland. A Coypu is a large semi-aquatic rodent, a native of South America and it’s believed they escaped into the wild in Ireland, having initially been brought over as a pet. 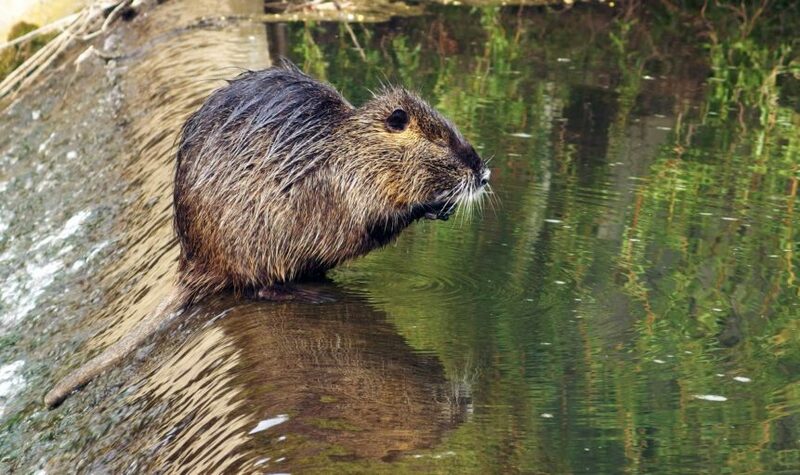 The Coypu impact on wildlife, river and canal bank stability and is a pest of agriculture crops. They can also carry a number of diseases of importance to humans and domestic animals. What does a Coypu look like? Coypu can measure up to 1 metre in head to tail length, has webbed hind feet and can weigh between 5-9 kg. It has dark fur often with lighter ends and has a white muzzle, a long cylindrical tail (not fur tail like otter) and small slightly protruding ears. Its distinctive features are large bright orange-yellow incisor (front) teeth usually visible. 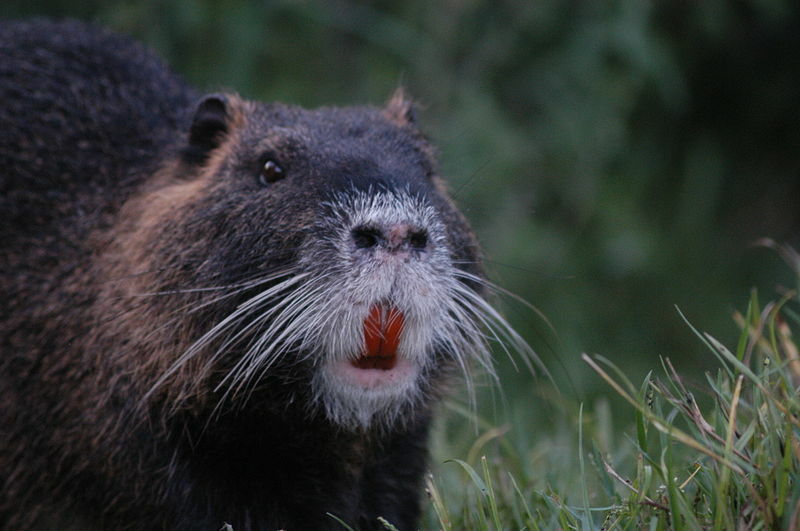 Coypu are generally found near permanent water. Coypu distinctive feature Large bright orange-yellow front teeth which are usually visible. 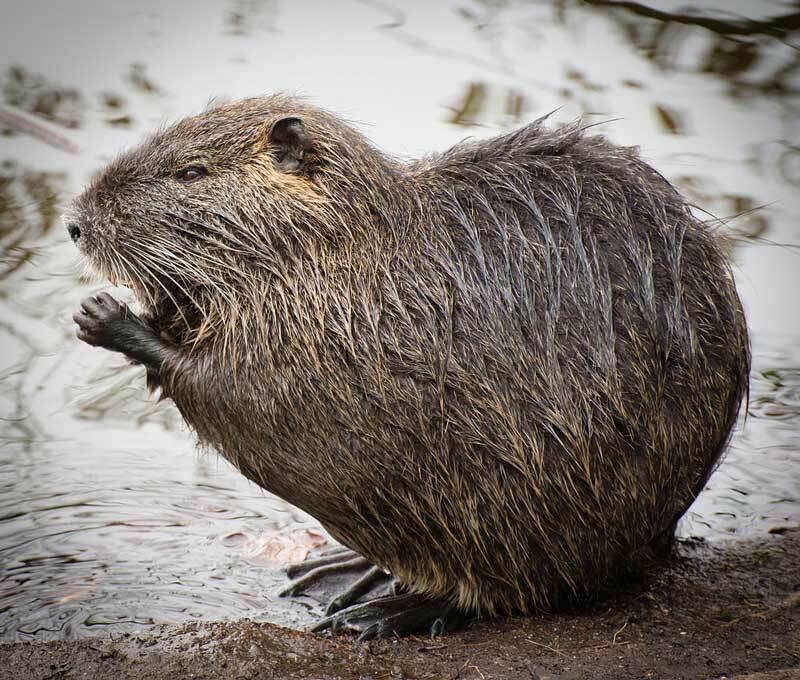 What to do with the Coypu?